Gospel Powered Pastor: Who Needs Theology? I read a book this week called, "Who Needs Theology," by Stanley Grenz and Roger Olson. 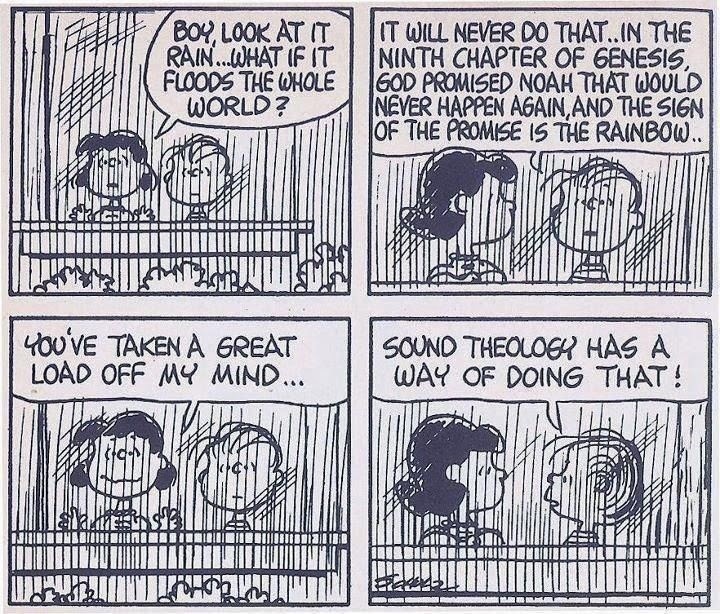 They used several "Peanuts" comic strips to illustrate their main idea, all thinking Christians are theologians; no one is neutral. The question is not, "Will we be theologians?" but, "will we be good theologians?" Another way of saying this is, "We are all theologians, it's just some of us are heretics." We live in a day where people, and I mean people who go to church Sunday after Sunday, object to theology and doctrine. Even these type of people are theologians. They are what we call folk theologians. They have a belief, not based on the study of Scriptures, but they have an un-reflective belief, a belief that is based on their feelings and or what someone else told them. These folk theologians base their spiritual life on the experience and not on the written word. This is not a good idea because everyone's experiences are different, and change, but the Word of God never changes. They object to theology and doctrine because they feel it kills their joy. But in reality, the truth is, when we have a sound theology on the God of Bible, it is fuel for the heart that brings a joy that can not be killed. The work of the theologian (you and I) is to read the Scriptures and learn what it meant to the original readers then, and throughout the ages. We can't skip church history, because there is nothing new to discover. When the theologian figures out what it meant for them, he prays asking God to help him apply the teaching to his own life and then he prays asking God for wisdom in communicating His Word to others around him. Good, sound theology, not only helps in taking a great load off our minds, it help mature us in the faith. It helps by bringing what we learn about God into our conduct, promoting obedience in all that the Lord Jesus commands.